In Episode 12 of Take Five With Marty, Dr. Marty Jablow sits down with well-known dental hygienist, Lisa Wadsworth, RDH to chat about ergonomics in the dental office. G-Cuff™ is an impression device that allows taking an accurate registration of a dental implant abutment. The concept is based on a “one take” PVS direct impression for natural teeth which has been used over decades with great success. The main purpose of the system is to support the soft tissue that surrounds the dental implant abutments allowing the impression means (conventional or digital) to access to the surface of the abutment. The system is compatible with most of the existing dental implant brands including Bicon Implants and no similar products are currently available on the market. The advantages and benefits of this simple and efficient system are both economical and clinical. As accuracy is the main factor in a restoration procedure especially for bridges or splinted crowns, the impression with G-Cuff™ is way more reliable than any other method either “open tray” or “close tray”. Due to the significant shortening of the lab procedure the risk of impression distortion is dramatically lowered. The G-Cuff™ system eliminates the need of the materials such as: Impression Copings, Implant Analogs, Temporary Abutments and Custom Impression Trays. In addition, the system solves a problem of the U.D.I (unidentified dental implants). The original abutment and a G-Cuff™ is enough to take a new impression and then to complete the restoration without even knowing the brand of the implant. 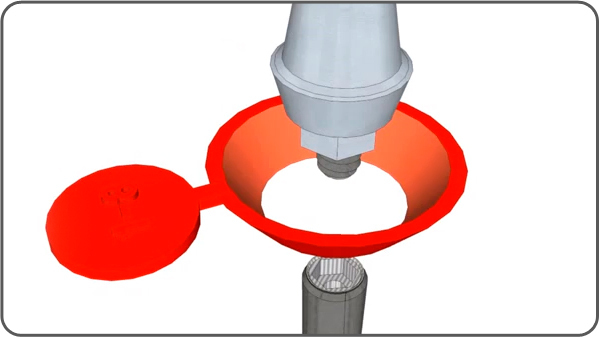 The list of the advantages is long and includes: reduction of redo rate, universality, chair-time reduction, precision of a framework, the fact it works with custom/stock abutments and so on. Written by Dr.Zvi Fudim D.D.S. 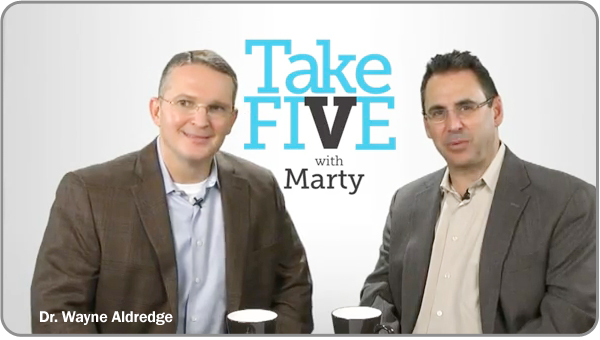 In Episode 10 of Take Five With Marty, Dr. Marty Jablow discusses the Comprehensive Periodontal Examination with Periodontist and Implant Specialist, Dr. Wayne Aldredge. Dr. Wayne Aldredge has over fifteen years of experience specializes in periodontics with emphasis on dental implants. He is Board Certified by the American Board of Periodontology. 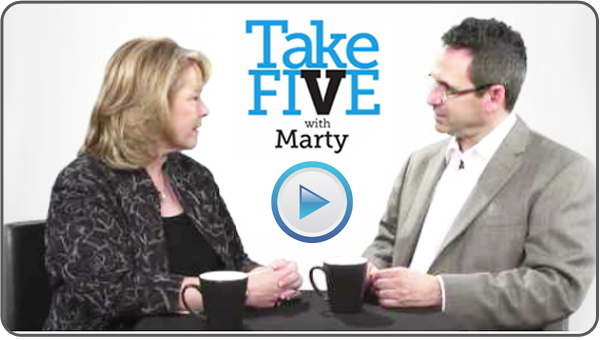 In Episode 9 of Take Five With Marty, Dr. Marty Jablow discusses the many benefits of the “magical ingredient” xylitol with dental industry consultant, author and publisher, Shirley Gutkowski, RDH. Shirley Gutkowski, coach of CareerFusion, is a dental hygienist who practiced full time general dental hygiene in Madison, WI from 1986 to 2003. She received her RDH from Madison Area Technical College and earned her Baccalaureate Degree in Dental Hygiene from Marquette University in 1999. She’s author of the best selling series The Purple Guide, and brings with her a talent for the written word, self publishing experience, stage work and computer expertise.